People spend two weeks a year in the bathroom, but few give much thought to the type of toilet they spend an hour a day with. Sizes and functions vary with toilets the same as any other appliance or fixture. 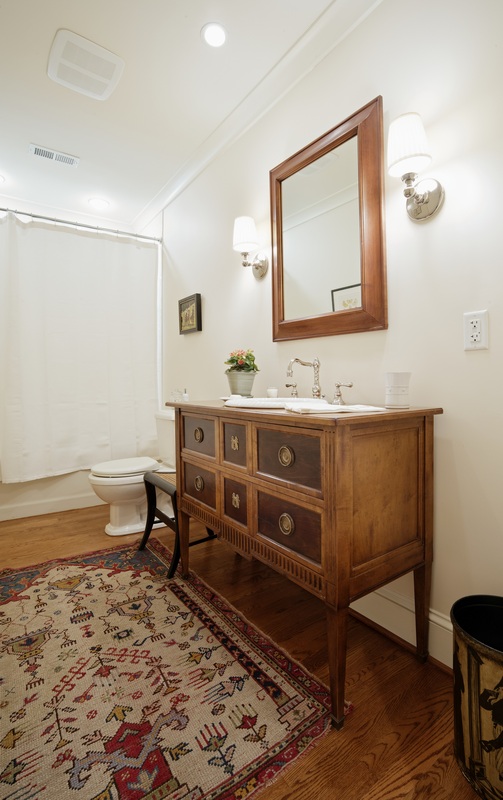 A toilet that works and looks great in a full bathroom may dwarf a narrow en suite. Additionally, based on your preferences and needs, you may prefer a standard toilet or one with dual-flushing options to save on your water bill, while simultaneously helping the environment. Using this helpful guide, know what you need to consider before you purchase a toilet for your bathroom remodel, so you don’t throw your money and design out the window, or, in this case, down the drain. Standard toilet sizes come in a rough-in of 12 inches, and as the standard size, they offer the most options on the market. A rough-in is the distance from the wall to the center of the sewer drain your toilet sits on. 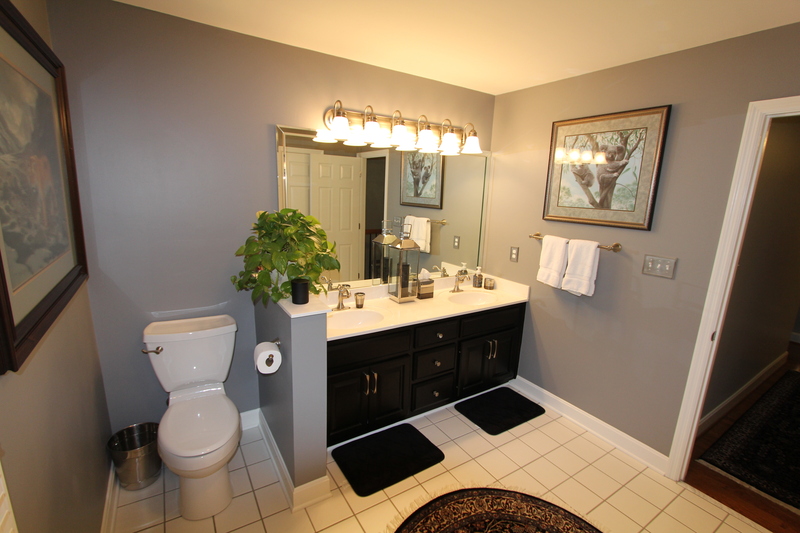 Many times during a bathroom remodel, homeowners will find their rough-in to be different than the standard rough-in. For example, you could have a 10 or 14 inch rough-in, which requires you to limit your toilet options or have your contractor move the drain to the standard distance. Neither option is wrong, but your choices are more limited when you have an irregular rough-in distance. Aside from the rough-in distance, toilet buyers must choose the size of their toilet bowl. Bowls come in many shapes, but the most common are elongated and round bowls. Elongated bowls measure up to 31” from the wall, and most people consider them to be more comfortable than smaller bowls. On the other hand, round bowls measure up to 28”, are less expensive than most elongated bowls, and are more space efficient, which makes them perfect for smaller bathrooms. 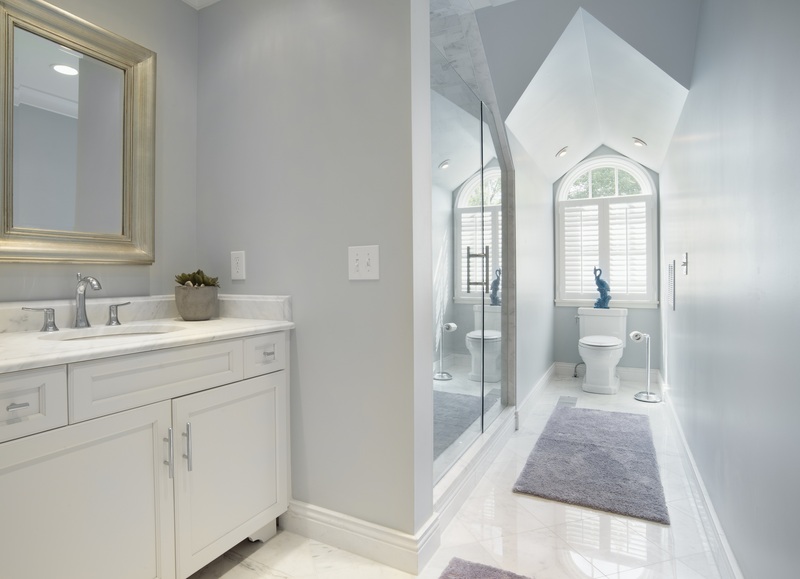 Consider which one would work best for you during your bathroom remodel. Height also plays into the ideal size of your toilet. 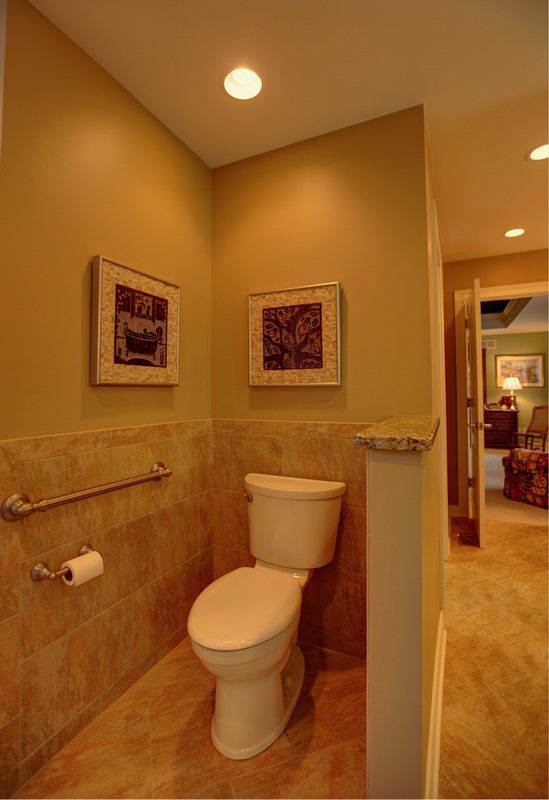 The standard size toilet is 14”, but taller individuals may prefer a taller toilet height to match their stature. By having a taller toilet, you make your toilet universally accessible, whereas a standard height toilet may be too short for some guests to be comfortable sitting down and standing up. Toilet styles come down to four concerns: the desired design of your bathroom, the size of your bathroom, ease of cleaning, and, of course, the cost. Like with toilet size, the most affordable toilet style is also the standard toilet, the one you think of when you picture a toilet: the tank sitting atop a bowl. However, the standard tank and bowl combo is not the only option. One piece toilets compact the tank and bowl into one piece, and while they generally cost more than a tank and bowl toilet, a one-piece toilet is much easier to clean, as it has no seams to wipe around. In addition to the practicality of one-piece units, they are also compact enough for a narrow space and perfectly simplistic for a modern or contemporary bathroom. Another minimalist toilet option is a wall-mounted toilet that offers a gravity defying look for your guests to marvel at and a space below it so you can easily mop under it. However, in the case of a wall-mounted toilet, minimalism comes with more extensive and expensive installation, as the wall must be opened to install the toilet and reopened in the event of needed maintenance. Since 1994, standard toilets use 1.6 gallons per flush. However, in recent years, there has been a movement away from single-flush toilets that use 1.6 gallons per flush, every flush. Now, there are many manufacturers offering dual-flush toilets, meaning pushing one button uses .08 gallons per flush and pushing both buttons increases the amount to 1.6 gallons per flush. The one button function works for liquid waste, and the increased water is for solid waste. By utilizing dual-flush technology, you can conserve water and reduce your water bills by more than $2100 in the lifetime of the toilet. Most people don’t “need” their toilet to offer additional features, but they are nice, and some are actually helpful. Many homeowners like to have a bidet and a toilet, as bidets help with personal hygiene, up your home’s resale value, and can be helpful for people who aren’t mobile enough to clean themselves thoroughly in a bathtub or shower. If you like the function of a bidet, but would prefer to keep your bathroom less cluttered by extraneous fixtures, there are toilet seats that include a bidet function. Toilet seats with bidet functions aren’t the only upgrades for your toilet. Like kitchen cabinets or dresser drawers, there are toilet seats that close softly and quietly, keeping you from waking everyone in the house when you have to go in the middle of the night. Another toilet seat variation that makes going to the bathroom more enjoyable is the heated toilet seat; never again will you fill like you sat on a block of ice. No matter how big your bathroom remodel, BACK Construction can help! 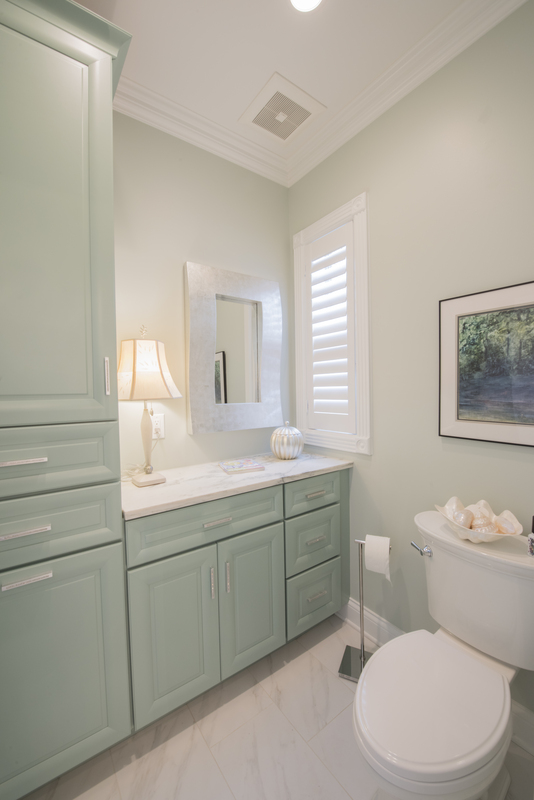 A bathroom remodel can be a long process, but if you follow these helpful tips for selecting the right toilet, you will get a toilet that is right for both you and your space. Not only will this guide help, but BACK Construction and our skilled craftsman are only a phone call away. BACK Construction can assist you with all of your questions or concerns about selecting your toilet and can help you with your installation needs. Why sell for less when BACK can help you sell for more? You can call BACK Construction today! If you have questions about remodeling projects, or just want some further tips, feel free to give us a call. Did you know that we also offer handyman services? Because of BACK Construction’s reputation of being the highest quality remodeler in Lexington, Kentucky, many people think we only do large projects. We offer the same quality for small projects as with a large project, because we have the same skilled craftsmen on each and every one. In fact, BACK’s handyman service is an Angie’s List Super Service Award winner.